Speed up your checkout with powerful, flexible features with POS Days. Quickly search product by typing in keywords or using a barcode scanner. Easily find the customer by name or phone number. Add discounts that will apply to all items or particular items. Customize your sales reports to easily see how your stores are performing, what products are making you the most money, and discover who your top salespeople are. 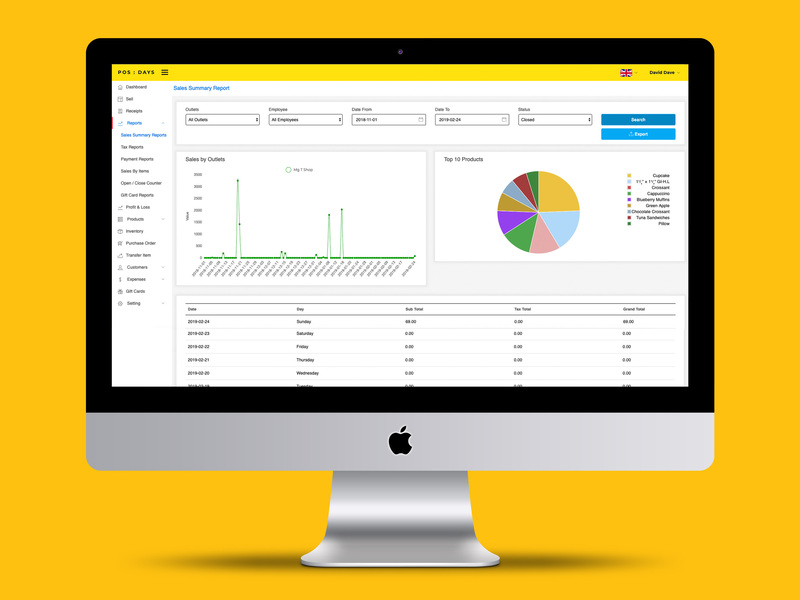 All your data is stored safely in the cloud, so you can get your reports from wherever you are, at any time of day. Get a daily summary of each store’s performance. 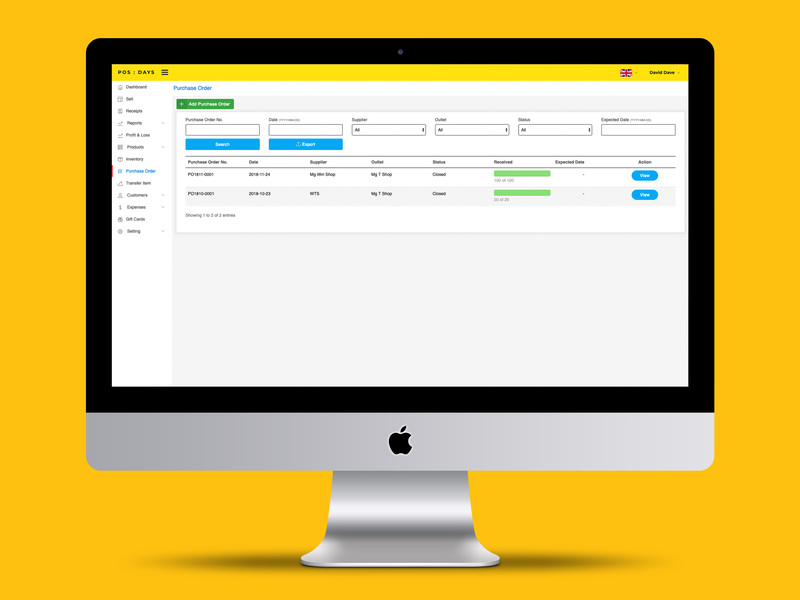 Track daily sales with register closure summaries and sales history reports. Confirm payment amounts, check for discrepancies, and add notes about the day. Customer transactions are saved to their profile where you can view their purchase history and account balances. Treat your customer like VIP customers with discounts or targeted emails, or use groups to manage employee or wholesale prices. 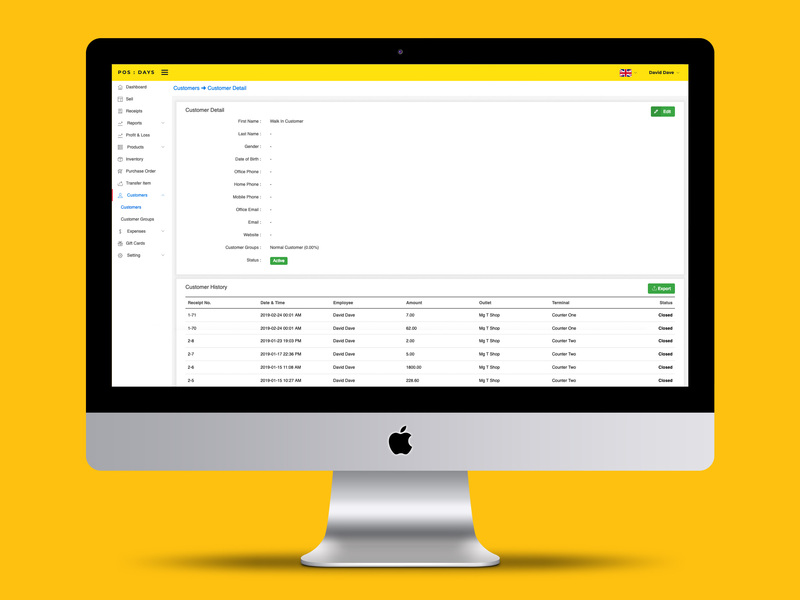 View sold transaction amount and cost and profit for every each transaction. Export your profit & loss data to your preferred spreadsheet tool for in-depth analysis or send your reports to your accountant. Quickly add products by quantity or weight or variant (size, color, etc) by product category and upload product photos with only a few steps. 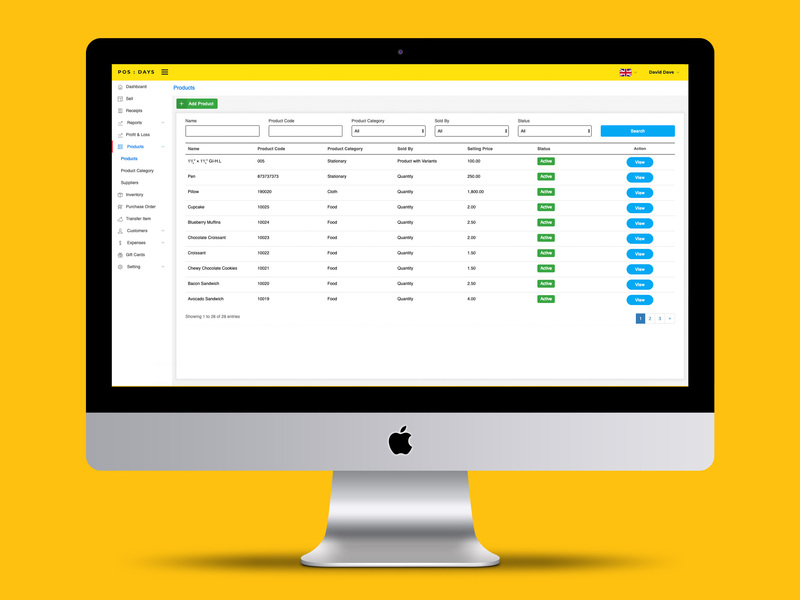 Manage your store expenses and other expenses with a different category. All your expenses data is stored safely in the cloud, so you can get your reports from wherever you are, at any time of day. 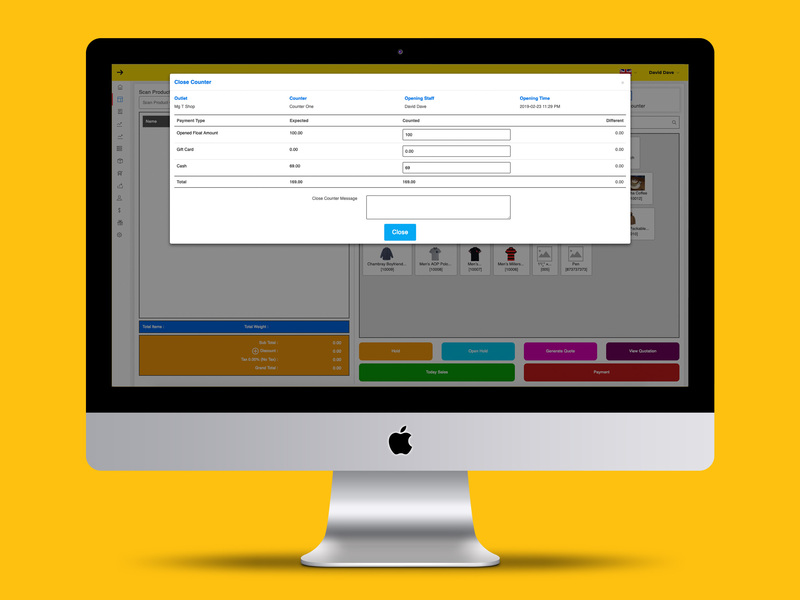 Create purchase orders quickly for your stores. Email purchase orders directly to your suppliers through POS Days, then easily receive when orders arrive. Through our web-based back office, you're granted access to valuable sales analytics as well as inventory and opening & Closing reports, tax reports, sales by employee, items, and total stock control. 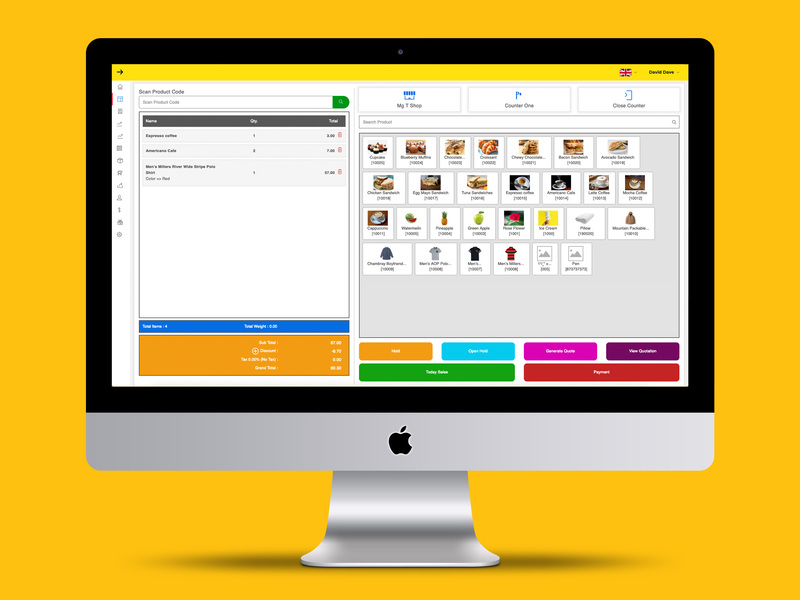 Our web-based POS offers all the tools a manager requires to drive their business towards success.